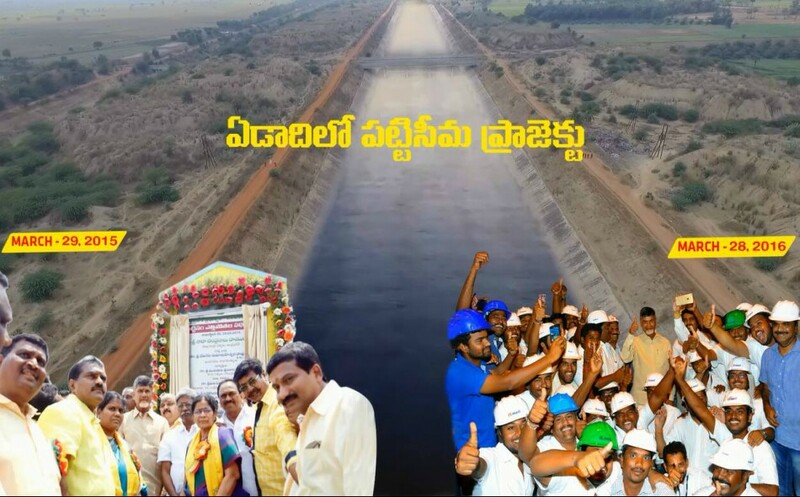 The Bharatiya Janata Party leaders are now talking more about the Pattiseema Lift Irrigation Scheme on Godavari River to accuse the Telugu Desam Party of indulging in corruption. The BJP leaders, starting from MLC Somu Veerraju to the party president Kanna Lakshminarayana are making corruption charges against the government basing on this project. Somu Veerraju had already given a report to the Central government seeking probe. BJP floor leader in Assembly P Vishnukumar Raju too had made several corruption charges against the project. After taking over the charge as AP president, Kanna Lakshminarayana took up the issue and is reliably understood to have given a detailed report on the project to BJP national president Amit Shah and Prime Minister Narendra Modi. Meanwhile, the YSR Congress too had levelled similar charges against the project. While the TDP claims it as greater achievement, the BJP and the YSR Congress term it as the biggest corruption. YSR Congress MLA and Assembly’s Public Accounts Committee chairman Buggana Rajendranath Reddy had reviewed the project a couple of times earlier and found several irregularities in it. He too had prepared a report on the project corruption and is understood to have given it to the BJP leadership. The project was initially planned to pump Godavari water at Pattiseema and it was initially estimated to cost Rs 1300 crore. The project pumps the river water and it is diverted into the Polavaram Right Main Canal, which takes the water to Krishna River at Prakasam Barrage in Vijayawada. This was a temporary project before the Polavaram is completed. The government had in no time, revised the project cost to Rs 1600 crore and started the scheme with just two motor pumps, which were also allegedly borrowed from the Galeru-Nagari project. It is alleged that the contractor, Megha Engineering, had not procured the required 24 pumpsets for the project and was running the show with minimum pumps as most of the project money had gone into the pockets of the ruling party leaders. It is widely debated in the State that the BJP, after the break-up of ties with the TDP, is now planning to fix the TDP leaders on this project. Somu Veerraju and Kanna Lakshminarayana are said to be serious on the project and the corruption involved in it and are currently camping in the national capital to mount pressure for a thorough investigation into the project irregularities. It is to be seen how the BJP would handle this issue and how the YSR Congress, as an Opposition, would use it in its favour to hit at the TDP.